The Tata Motors share price ended 17.28% lower to Rs 151.30 on the BSE. Tata Motors' dismal performance in the third quarter of the current fiscal reflected on its share price today. After reporting Rs 26,960.8 crore quarterly loss-biggest in the Indian corporate history, the Tata Motors share price came under intense selling pressure in trade today. Singed by a non-cash charge of Rs 27,838 crore to cover the impairment at Jaguar Land Rover (JLR) in the three months to December 31 and a cut in future profit margin outlook, the Tata Motors share price crashed to a fresh 52-week low of 141.90, down 22.41% or 41 points compared to the previous close of 182.90 on BSE. On NSE, the stock cracked 29%-the most in 10 years-to Rs 129 level. Tata Motors expects the EBIT (earnings before interest and tax) margin for the fiscal year 2018-19 ending March 31 to be "marginally negative" compared with an earlier guidance of breaking even, Chief Financial Officer, PB Balaji said. The Q3 earnings came as a surprise shock for the Tata Motors share price which was attempting a recovery after negative news related to its subsidiary JLR had been trickling in over the last few months. The Tata Motors share which stood at 277.40 on September 7, 2018 fell to 157.10 on December 10 last year on low sales, crisis in Jaguar Land Rover, downgrade by credit rating agencies and poor earnings performance. The stock attempted a recovery during the next one month hitting 185.75 on January 10 but could not manage the same level since then. A day before the Q3 earnings were announced, the Tata Motors share price rose up to 2.13% to 182 level compared to the previous close of 178.20. Even as the stock seems to be on a losing spree, we find out whether is it a good time to buy , sell or hold the Tata Motors share at the current level. 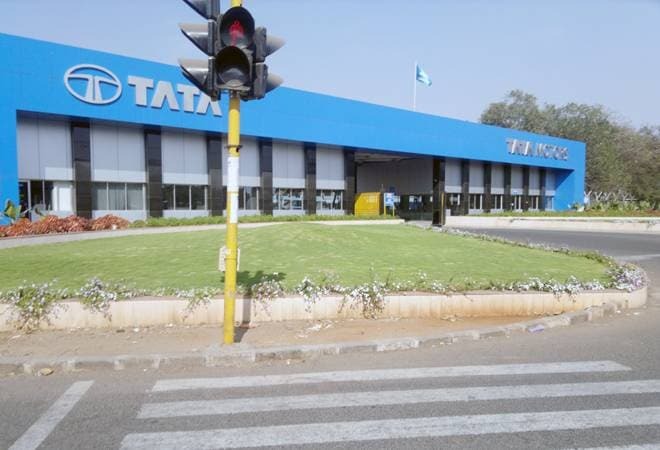 Rahul Agarwal, Director at Wealth Discovery/EZ Wealth said, "Tata Motors is facing several headwinds mainly due to its luxury car unit JLR that accounts for approximately 70 per cent of its revenue. Outlook for JLR continues to remain weak on the back of multiple challenges, which it continues to face across various geographies. The subdued performance is on the account of uncertainties around Brexit, slowing sales in China, and technological disruptions facing JLR. The outlook is not very positive going forward. Tata Motors management expects FY19 retail sales to be negative although there are expectations that the premium segment may see some rebound in FY20. On the domestic front also, the outlook is sluggish. Therefore, our advice is to stay away from the stock. For investors who are already invested in the stock, we suggest that investors should exit at every relief rally. For Tata Motors stock to do well, the numbers from the JLR unit especially sales figures from China have to stabilize and improve in a meaningful way. Until then, the stock is expected to underperform its peers in the same sector." Brokerage Emkay in a note said, "Jaguar Land Rover's EBITDA margin contracted steeply, by 350 bps yoy to 7.3% (Emkay estimate: 10.9%), mainly due to lower volumes in China, higher warranty costs, and destocking expenses. In comparison, standalone margin expanded 80 bps yoy to 8.1% (Emkay estimate: 6.5%), due to a turnaround in the PV division. Standalone performance is likely to be impacted, due to a reversal in the MHCV sales cycle, led by surplus capacity with fleet operators, deferment of purchases during elections, increasing cost of ownership, and a high base. In addition, adverse mix and increasing discounts are expected to hit margins. We reduce our FY19/20/21E EPS by 46%/19%/19% to Rs6.2/Rs22.8/Rs24.7, mainly due to lower volume/margin assumptions in JLR's China operations. In the event of a no-deal Brexit, there can be further cuts on volume and margin estimates. We downgrade our rating to Hold from Buy, with a revised target price of Rs 192 ( Rs 256 earlier), based on 1.5 times its enterprise value/earnings before interest, tax, depreciation and amortisation for JLR and 8 times enterprise value /EBITDA for standalone operations. Despite the cost-reduction efforts, free cash flows are expected to remain negative over FY19-21, due to the large capex requirements of Jaguar Land Rover. The international brokerage has retained its sell call on the Tata Motors share with a target price of Rs 150. JLR's margins declined QoQ despite higher volumes after big asset impairment dragged Tata into a consolidated loss. Demand outlook for Tata Motors has worsened in China and India, the brokerage said. The brokerage cut FY 19-21 earnings per share (EPS) estimate by 2-66% and said the stock will remain weak given insufficient near-term triggers. The investment bank has given a hold call on Tata Motors with its target price cut to Rs 175 from Rs 195. The operating environment for Tata Motors is likely to remain challenged. The brokerage said only positive is performance of India business. Deutsche Bank cut FY19 earnings per share forecast by 38% and FY20/21 earnings per share by -10%/+8%. Deutsche Bank also cut JLR's FY19 estimated earnings estimate by 62%. Brokerage Motilal Oswal has downgraded its rating to neutral and reduced the Tata Motors target price by 9% to Rs 166. Motilal Oswal expects FY19 retails to be negative; growth in FY20-22 to be ahead of premium segment. Motilal Oswal lowered its EBIT margin guidance to 3-6% for FY20-22 (compared to 4-7% earlier), despite 100 basis points boost due to lower depreciation charge. The brokerage in a note said, "We cut our FY20/21 consolidated earnings per share estimate by 21%/13%. Consequently, our net debt estimate is almost doubling, dragging down the equity value."